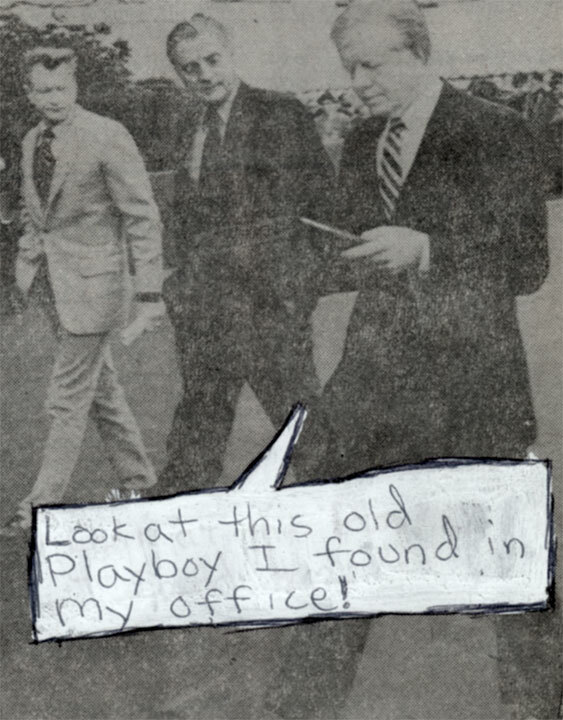 My best friend and first creative collaborator, the outstanding guitarist Richard Clark, was the only teenager I've ever known to have a framed 8"x10" glossy of Ronald Reagan on his bedroom wall. He wasn't sure who put it there, but there it was. A Grin-and-Grecian-Formula demarcation of the personal and cultural change that we and the entire world were about to experience. A new era was upon us, and we were cultivating the one skill that would prove to be essential for navigating through the 80s: A strong sense of irony. Gone were the days of deconstructing the latest issue of Detective Comics and debating whether Muhammed Ali could realistically take down Superman in outer space. Weightier concerns awaited us. America had just elected to restock the Oval Office peanut bowl with jelly beans, and likewise, Richard and I began the transition from comic books to newspapers. Wite-Out, the newest addition to our arsenal of artistic implements, became instrumental in the creation of our latest project. 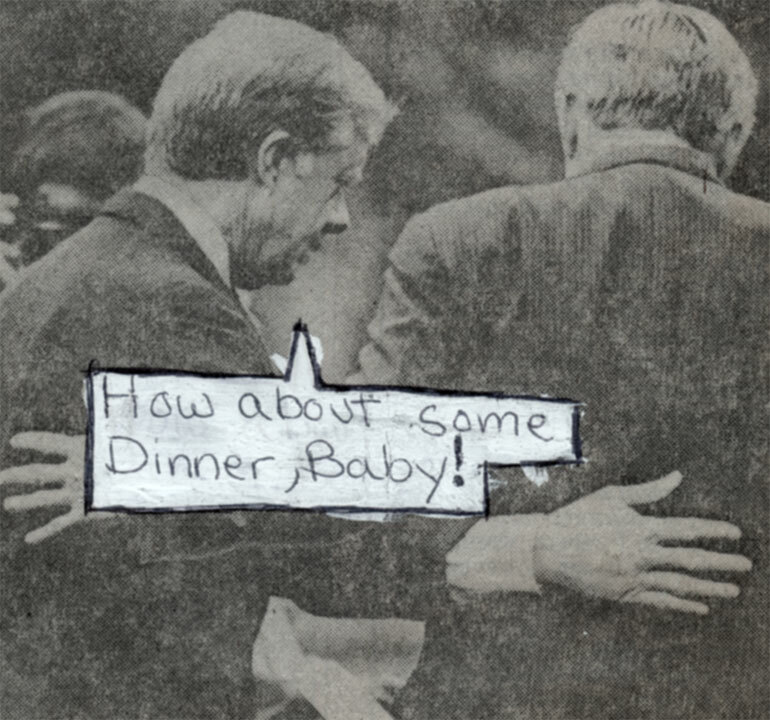 If Newspaper Pictures Could Talk was an irreverent humor magazine of epic proportions. Or it would have been, had we finished it. 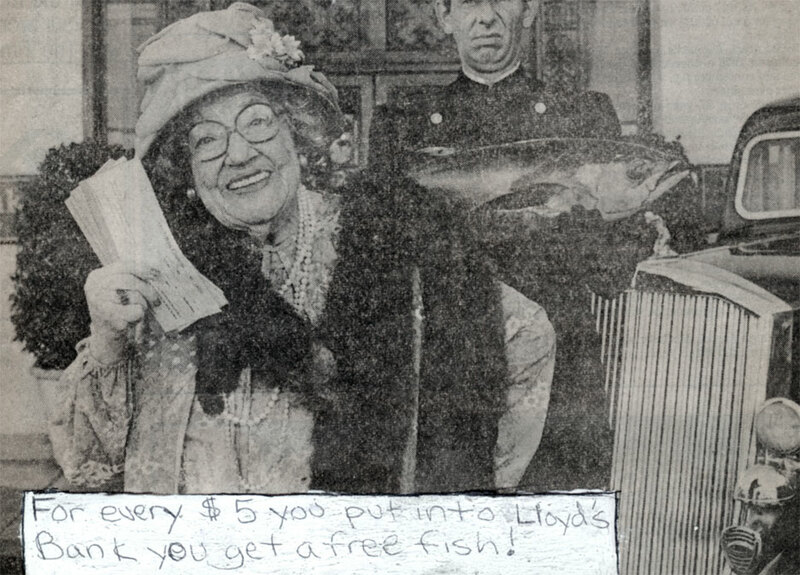 Generating satirical captions for newspaper clippings is hard work, as it turns out. But we managed a handful of panels and as you'll see, no image was too provocative to be skewered with our lampooning stick.